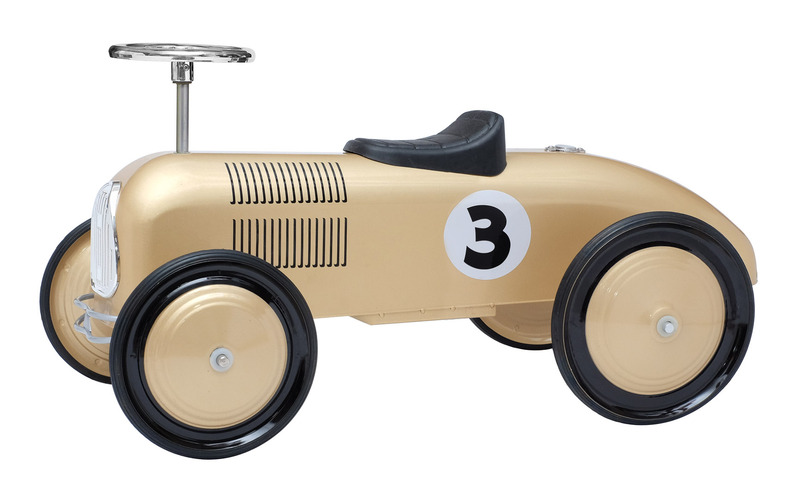 Sleek metallic gold racer ride-on scoot-ster will go, go, go! Features vintage racer detailing, working steering wheel and rubber wheels, and its heavy gauge steel construction is built to last. Finished in a chip and rust resistant, child safe, non-toxic, lead-free powder coating paint..